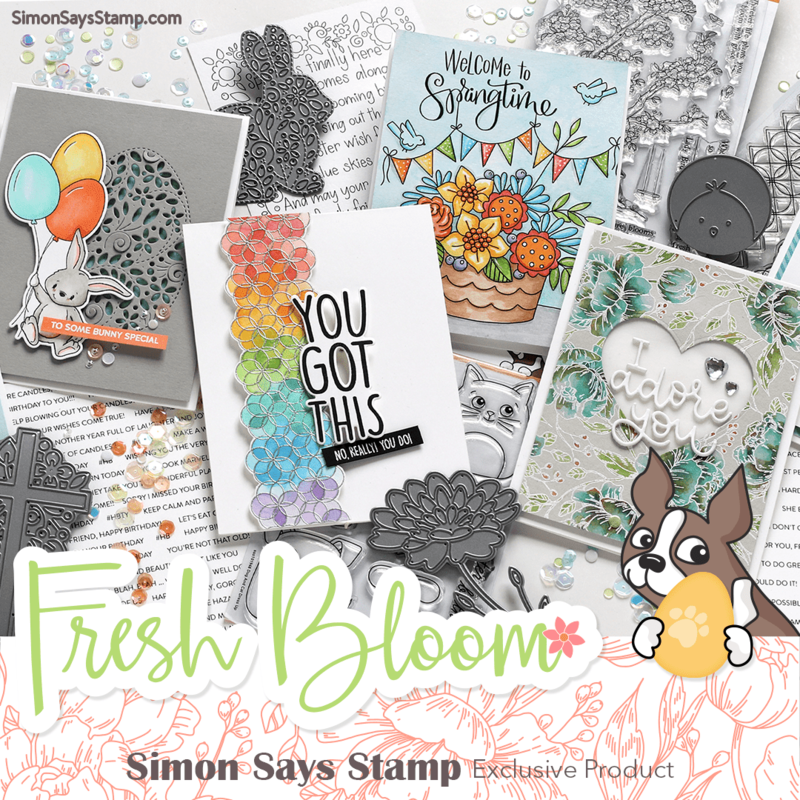 It's the last Wednesday of the month, and that means an Anything Goes Challenge at the Simon Says Stamp Wednesday challenge blog! These multi-step stamps may seem a little daunting at first, but as anything else, a little practice makes perfect. I love the detail that's achieved with them! 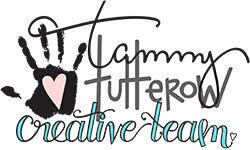 I really liked Dawn's beautiful example for us at PTI's Make it Monday this week: layered stamping on kraft. The idea behind this technique is to do a first stamping using white ink to help the secondary stamping in colors to show up better against the kraft cardstock. I especially like that the woodsy feeling seems to be increased by using kraft as my base. Thank you, Dawn! .....to those of us in the States celebrating Thanksgiving this week! I hope you are able to be with the people who mean the most to you! I have a card today for this month's Throwback Thursday challenge at Wplus9. This is my only Christmas set from Wplus9, so I followed Maureen's examples and used a bright lime green and red combination, with a black sentiment. I have been on the hunt for a Hero Arts snowman for a couple of years. He's from their Snow Much Joy set from 2013, which has been discontinued by Hero Arts. He's perfect for coloring or paper-piecing, or a combination of both like I did, and is easy to cut out, too. I finally found a set last week on Ebay and so here is my first stamping of him! 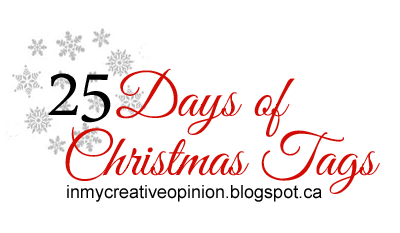 I'd like to enter this into Tracey's 25 Days of Christmas Tags. I was inspired by the snowmen tags on Day 9 of her challenge. It's time to get the Christmas Card train chugging away, and so I've been making them as I see ideas out there on your blogs. Both of today's cards are CASEs. 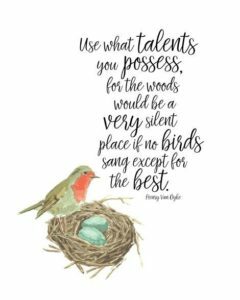 I saw this design on Janet's Swanlady Impressions blog the other day and thought it was the perfect card for this year, especially. I found this idea looking at a Team Richard Garay Instagram feed, which led me to Michelle's Stop and Stamp the Roses blog. I just adored her kraft, aqua, and white colors together, and I just received this lovely snowflake embossing folder, so everything came together nicely. After embossing, I swiped a tiny white ink pad across the surface. I kind of like the messy white-wash look it gave! Thank you, Janet and Michelle, for your wonderful inspiration! How is your Christmas card making going? I've made a pretty good start, but I always find myself making some multiples when it comes time to match up the list with what I have made! We're supposed to get our first snow here this weekend, so you know what I'll be doing: staying inside where it's cozy and making cards! After seeing the gorgeous inspiration board at the November Pin-Sights challenge, I had to give it a try! 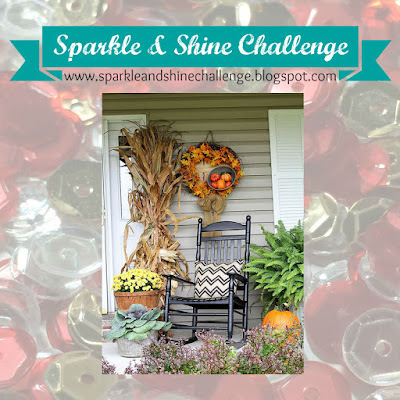 Here's one final card for fall, inspired by the Sparkle & Shine challenge going on now. Lots of fussy cutting here........I was inspired by that wreath of leaves, adding a kraft ribbon to represent the corn stalks, and did an ombre stamping for the sentiment. 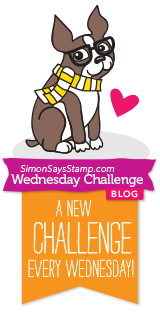 It's Wednesday, and that means another challenge over at the Simon Says Stamp Wednesday Challenge blog! It's getting to be that time of year, and so our theme this week is Christmas! 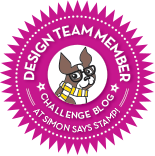 The design team are all using products from My Favorite Things, and we'd love to see you using them, too, though it's not a requirement to enter, as long as you follow along with our theme. I wasn't sure I'd use this new Santa's Elves clear stamp set, but once I got it home and started playing with these adorable cuties, I couldn't stop! I've had this quilt cover-up die for awhile, but I always enjoy making a little paper quilt with it. I used some papers from an older Doodlebug pad, and then added a snowflake to tie in with the snowflake background. I guess I have "Merry" on the brain this week! Inspired by all the cute elf tags on Day 8 of the 25 Days of Christmas Tags, I'd like to enter my tag into Tracey's Tag challenge. My sentiment is made from 2 different sentiments. I love the look of a mixed font! 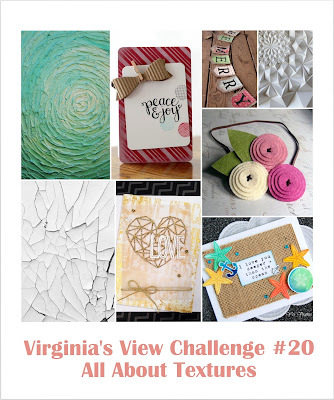 I'm entering this card into Virginia's View All About Textures challenge. 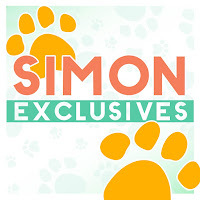 Thanks for coming by - I'll see you tomorrow with my cards for the Simon Wednesday Challenge! Memory Box has a monthly challenge - this month we're to use glitter on our creations. 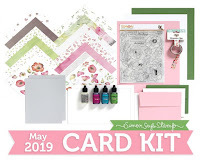 My first card uses some of my favorite Memory Box products. supplies: Audrey Blue, taupe, red and white glitter cardstock, Memory Box Peace Collage wood stamp, embossed in white, Memory Box GrapeVine Wreath and Perched Reed Bird dies, snowflake and berry dies. And for a 2nd entry, I used a delicate little die that I won last month to make a tag. And one more, for the Simon Flickr Challenge going on right now; when I saw those colors I had to give them a try! Hope your week is off to a good start! Thanks for visiting! 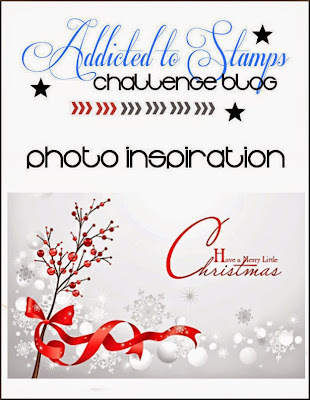 I have 3 cards to share today, all made from the December Card Kit from Simon Says Stamp. The papers this month are by PinkFresh Studios, and they're really graphic, so I kept my designs fairly simple to show them off. My first card uses a few of the stamps in the Gifts of Love clear stamp set in the kit, plus one of the design papers and some of the self-adhesive sequins. 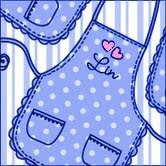 My next 2 cards use only the papers and accessories in the kit, no stamping! See what I mean about the graphic designs of the papers? Here I simply trimmed out this little scene, and then added some of the puffy stickers that match them, (the tree, the house, and the sentiment) and more of those sequins. And my last one uses a partial cut of another of the papers, with more of the puffy stickers added. Isn't that deer pretty? I know just who I'll be sending this one to! 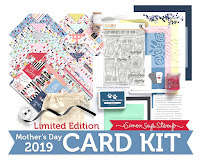 Because this kit is so unique this month, I wouldn't wait too long to order it if I were you! I know you'll have lots of fun playing with what's inside! I tried to pull as much out of this photo as I could: a grey graphic background, coral and navy colors, twine, something using wood veneer, and something silver. I was glad to use up some hoarded supplies, and it was fun to see this all come together! 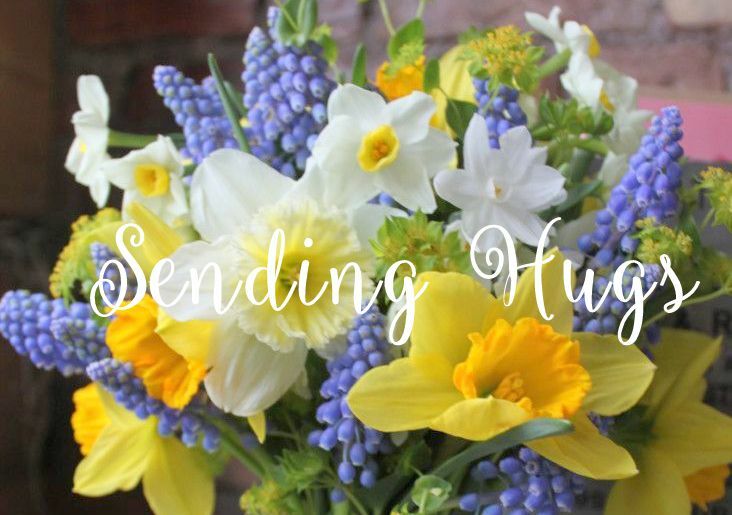 Thanks for stopping by - enjoy your weekend! I have a card today for Winnie & Walter's ReRun challenge. I don't have the stamp set being featured, but I was inspired to use what I do have by Shay's Happy Christmas poinsettia card. I loved her use of the scalloped panel with stamped elements in the right corner and a sentiment. That's where I intended to go, too, but this card didn't want to stop there. I stamped and fussy-cut the pine branches using 2 shades of green ink, then arranged them before gluing them down only at their bases, so that the rest of the image looks more dimensional. I did the same with the berry sprigs, inserting them amongst the pine, and lastly popped my cardinal above everything. I sprinkled on a few sequins - what's a Christmas card without a little bit of sparkle? The inner scalloped panel was popped above the bigger panel and the card base - I love the dimensional effect this gives! 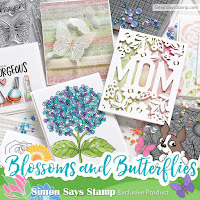 This big post card stamp is perfect to stamp over shabby-chic design papers like this one, and then you can add stamped or die-cut details to it. To make it into a card, I traced the shape on a piece of cardstock for the backing, punched a hole at the top of both pieces, and then tied them together to make a unique card. My second card uses probably my all-time favorite Hero Arts flower stamp, and I love mixing it with text. I don't think I've ever colored it red before! I first inked up my stamp with some Spectrum Aqua markers before stamping it on watercolor paper, then went back in with a damp paint brush to spread the color around just a bit. After that was dry I wet the rest of my panel and used tumbled glass distress ink as a wash for my background. Then I stamped the sentiment.